On Friday, 15-02-2019, the members of the European Youth Card Working Group attended the annual event of the European Parliament’s Constitution. 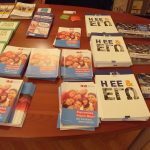 In the framework of the above event, the public was informed about live and printed material and there were contacts with representatives of bodies and MEPs aiming at widening the impact of the European Youth Card. 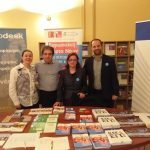 The event was attended by two (2) members of the European Youth Card Working Group together with a member of the Erasmus + / Youth National Coordination Unit.